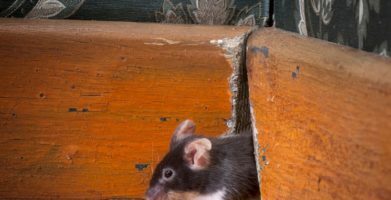 Home / Blog / What Surprising Things Can A Rat Chew Through? What Surprising Things Can A Rat Chew Through? Have you ever seen an “eye-boggling” rat? The muscles controlling a rat’s jaws are very powerful, and anchored around the eye sockets, running behind the eyeballs. When a rat grinds his teeth, his eyeballs can vibrate in and out; this usually indicates pleasure and contentment. Why do rats need such powerful jaw muscles? Because their incisors never stop growing! Rats must gnaw (chew) on things constantly to wear their teeth down. 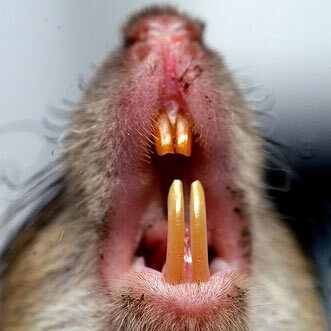 If their teeth were allowed to grow unchecked, they would grow continuously in a spiral at an 86 degree angle, making it impossible for the rat to close its mouth or eat, resulting in death. What do rats chew on to wear their teeth down? Super strong teeth are not the only superpower like trait these rodents possess. Rats can fall 50 feet without injury; they can swim and tread water for 3 days without drowning; they can squeeze through openings the size of a quarter; they breed at an astonishing rate, rapidly populating any given area; and last but not least, their genes have mutated, making them immune to most rat poisons. They may seem like an invincible opponent, but it is possible to keep rats out. The first and most important step in preventing a rat infestation is good sanitation. Removing food and water sources will go a long way when getting rid of rats. Store pet food and pantry goods in glass or metal containers and use a covered trash can. Keep things picked up and organized so there are fewer hiding places for rodents. Outside of the home, keep shrubbery and wood or compost piles away from the building. The second step to get rid of rats is to block off entry points. Even though they can chew their way through almost anything, you don’t need to leave the door open for them. Use metal screens over chimney and dryer vents. Make sure the building’s foundation and roof soffits are well maintained. Keep window screens in good repair and install door sweeps if there is a gap under any exterior doors. 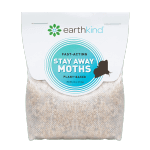 Lastly, protect property with a natural rodent repellent. Rats have poor eyesight, but an exceptional sense of smell. As a matter of fact, rats have been trained to sniff out landmines, drugs, and even to serve as rescue rats sniffing out survivors after disasters. Fresh Cab® Botanical Rodent Repellent uses essential oils that smell pleasant to humans but are offensive to rodents to deter rats and mice. Placing Fresh Cab pouches around your home, in your vehicles, and in your stored property will protect it against rats and mice. I had a task of closing a pipe from rats getting into it from outside. Iron meshes didn’t work. If the mesh is too thick, I can’t bend it around the pipe (or fit it snugly inside the pipe). If it is thin, they chew through it in 2 weeks. Also, the mesh has to be cosely knit (no more than quarter inch gaps). Eventually no mesh worked. I took a cylindrical steel container that my friend had gifted me as a spoons/forks holder (which had 1/4th inch holes in it) and fitted it snugly to the pipe using a rubber tubing. Now, that has stood the test for 2 months so far! But, I have to clean up the garbage inside it manually once every 2 weeks (because, the holes are too small). I am happy with the solution. Rats can be very persistent and almost ingenious when it comes to getting inside. I’m glad you were able to find a solution that works for you! I am having a problem with alot of rats. They were in the doghouse last year. We killed over 50 rats. They were under the floor. Now they are back. They have burrowed under my pool. My pool us made of the strongest material. I have noticed the water level going down. Do you think rats could chew through the bottom of the pool? I have a Splash Pool which has no liner. So sorry to hear about your rodent situation! It’s hard to say if rats may have chewed through the bottom of the pool without being able to see if any damage done to pool. It sounds like Fresh Cab Rodent Repellent would definitely help prevent recurring infestations in your doghouse though. All of our products are pet-friendly and free from harmful chemicals. 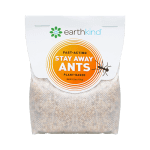 The repellent may work around the pool as well, but the effectiveness will diminish if the pouches get wet or are exposed to a lot of air flow such as when they are placed outdoors. Fresh Cab works best when used in enclosed areas. This blog is very helpful, thank you for having it! I just noticed today I heard a rat (assuming one) scurrying around in the ceiling. How fast can the rat chew through my ceiling and what’s the best way to get rid of it without harming myself or my cats? There is a very small crawl space door at the opposite end of the house which is not easily accessible. Thank you for any and all suggestions. Is there any mesh stainless steal products I can purchase to cover items like tents, sleeping bags, camping equipment, etc., to prevent rats from gnawing through it? Unfortunately we don’t know of any specific products for what you’re describing, but you’ve got the right idea! Try checking your local Ace Hardware, they probably have some different options and the know-how to get it done. I have something under my jacuzzi tub in house sounds like chewing I hear it move. It’s hard to know how to get rid of something if you don’t know what it is first. Look for signs of gnaw or chew marks, as well as any droppings or other clues about what is under your jacuzzi. 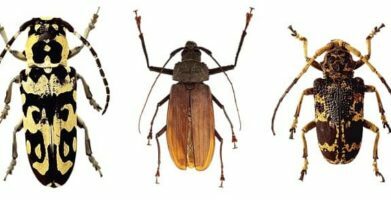 You may need to call wildlife removal or a pest control professional. Once the intruder has been removed, use Fresh Cab Rodent Repellent pouches in the surrounding enclosed area to prevent pests from returning. Make sure any potential entry points are sealed shut so nothing gets back inside. Thanks for reading! will mice and rats chew plastic trash bags? Yes, mice and rats can easily chew through plastic trash bags. Keeping trash in a covered can with a tight fitting lid will help prevent this problem. Thanks for reading! Have you ever seen an "eye-boggling" rat? The muscles controlling a rat's jaws are very powerful, and anchored around the eye sockets, running behind the eyeballs. When a rat grinds his teeth, his eyeballs can vibrate in and out; this usually indicates pleasure and contentment. Because their incisors never stop growing! Rats must gnaw (chew) on things constantly to wear their teeth down. If their teeth were allowed to grow unchecked, they would grow continuously in a spiral at an 86 degree angle, making it impossible for the rat to close its mouth or eat, resulting in death. Super strong teeth are not the only superpower like trait these rodents possess. Rats can fall 50 feet without injury; they can swim and tread water for 3 days without drowning; they can squeeze through openings the size of a quarter; they breed at an astonishing rate, rapidly populating any given area; and last but not least, their genes have mutated, making them immune to most rat poisons. They may seem like an invincible opponent, but it is possible to keep rats out. The first and most important step in preventing a rat infestation is good sanitation. 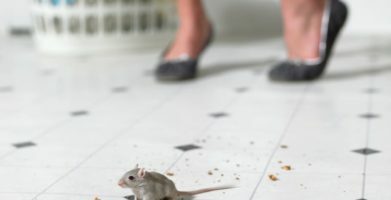 Removing food and water sources will go a long way when getting rid of rats. Store pet food and pantry goods in glass or metal containers and use a covered trash can. Keep things picked up and organized so there are fewer hiding places for rodents. Outside of the home, keep shrubbery and wood or compost piles away from the building. The second step to get rid of rats is to block off entry points. Even though they can chew their way through almost anything, you don't need to leave the door open for them. Use metal screens over chimney and dryer vents. Make sure the building's foundation and roof soffits are well maintained. Keep window screens in good repair and install door sweeps if there is a gap under any exterior doors. 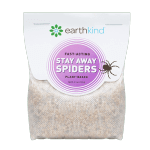 Lastly, protect property with a natural rodent repellent. Rats have poor eyesight, but an exceptional sense of smell. As a matter of fact, rats have been trained to sniff out landmines, drugs, and even to serve as rescue rats sniffing out survivors after disasters. Fresh Cab® Botanical Rodent Repellent uses essential oils that smell pleasant to humans but are offensive to rodents to deter rats and mice. Placing Fresh Cab pouches around your home, in your vehicles, and in your stored property will protect it against rats and mice. string(46) "What Surprising Things Can A Rat Chew Through?"